NASHVILLE, Tenn.—When it comes to domestic violence, Protestant pastors want to be helpful but often don’t know where to start. Those are among the findings of a new report on churches and domestic abuse from Nashville-based LifeWay Research, based on a phone survey of 1,000 Protestant senior pastors. Most pastors (89 percent) also agree their church regularly communicates that domestic violence is not OK—with more than half (56 percent) who strongly agree. Yet almost half of pastors (47 percent) say they don’t know if anyone in their church has been a victim of domestic violence in the last three years. A third (37 percent) say a church member has been a victim of domestic violence. Fifteen percent say no one has experienced domestic violence. Church size plays a role in whether pastors know of a domestic violence victim. Pastors at bigger churches, those with more than 250 attenders, are most likely (65 percent) to know of a victim of domestic violence in their church. Pastors at smaller churches, those with fewer than 50 attenders, are least likely to know of a victim (20 percent). Pastors in the West (45 percent) and Midwest (42 percent) are more likely to know of a victim than those in the South (33 percent). McConnell suspects there are more victims of domestic violence in churches than pastors realize. According to the Centers for Disease Control and Prevention, almost a quarter of American women (24.3 percent) and 1 in 7 men (13.8 percent) have “experienced severe physical violence by an intimate partner.” Given those numbers, there are likely victims of violence even in a small church, McConnell said. Most churches with 250 or more people have a plan (73 percent). So do many Methodist (63 percent) and Pentecostal (66 percent) churches. Fewer Baptist (52 percent), Presbyterian/Reformed (45 percent), Holiness (45 percent), Lutheran (44 percent) or Church of Christ (41 percent) churches have one. Baptists (66 percent) and churches with more than 250 attenders (68 percent) are more likely to offer victims a safe place to stay. Lutherans (55 percent) and Methodists (54 percent), as well as churches with fewer than 50 attenders (55 percent), are less likely. Bigger churches are most likely to be able to connect a victim with someone who has experienced abuse (65 percent). 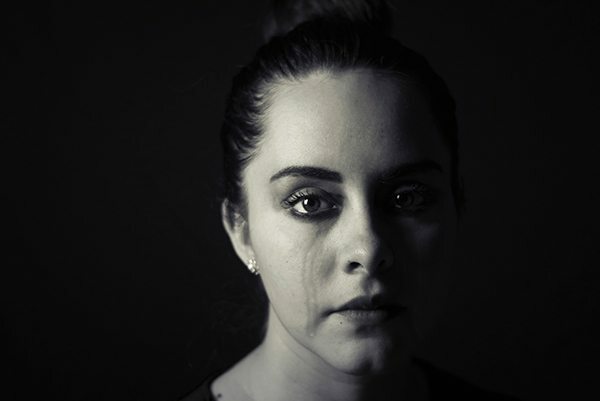 Pentecostals (61 percent) are more likely than Presbyterian/Reformed (43 percent), Methodist (42 percent) and Lutheran (35 percent) pastors to be able to connect a victim with someone else who has been through a similar experience. If a church member files for divorce and cites domestic violence as a cause, pastors often respond with skepticism. Fifty-nine percent believe divorce may be the best option. Few say couples should not divorce (3 percent) in cases of domestic violence. About half (56 percent) say they’d believe domestic violence was really present. Sixty percent say they’d investigate the claims of domestic violence. Only 1 percent of pastors would doubt such violence took place. The study showed 43 percent of pastors are unwilling to say whether or not they believe abuse took place. Julie Owens, a North Carolina-based consultant who has designed domestic violence prevention programs for churches and the Department of Justice, said churches want to be safe havens for victims. But there’s no way for a victim to know a church is a safe place if the pastor never discusses the issues. She also fears churches often do more harm than good in cases of domestic abuse. Launching an investigation into claims of abuse, for example, can put a victim at risk, she said. If a pastor talks to an alleged abuser, the abuser will often deny the claims and then retaliate against the victim of domestic violence. Ensuring a victim’s safety has to come first, she said. That often means connecting victims to outside resources like counselors, shelters and law enforcement. Pastors and churches, she said, aren’t always equipped to deal with the complicated needs of domestic violence victims. For more information visit LifeWayResearch.com or read the complete survey PDF.